There has been a re-energising of interest in social work in mental health services in recent years and mental health is now a core part of all qualifying social work students’ training. working with people with mental health problems across the life course. 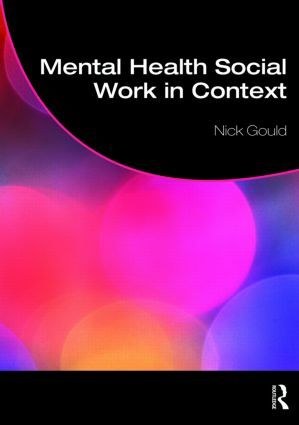 Mental Health Social Work in Context is an essential textbook for all social work students taking undergraduate and postgraduate qualifying degrees in social work, and will also be invaluable for practitioners undertaking post-qualifying awards in mental health social work.